This is an important, party-related public service announcement! Are you trying to get your mojo back after divorce? 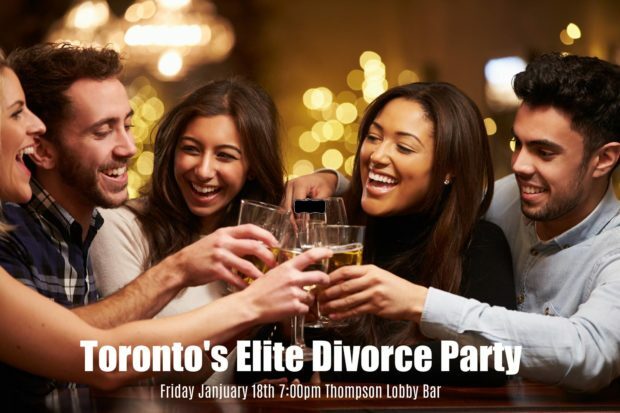 Toronto’s Elite Divorce Party wants to help! Taking place at the Thompson Hotel’s Lobby Bar tomorrow night, this is a can’t-miss event where divorced singles can mingle over wine and cocktails. Hosted by Carmelia Ray Matchmaking, this party is perfect for anyone who wants to start over. The best part is that Eligible Magazine readers will receive 20% off tickets when they use the code EligibleMagazine. So get out your chicest little black dress or your sexiest suit and enjoy a night on the town. You’ve still got it! Now get back out there!